Very Good. Shepherds Abiding (Mitford Novel) by Karon, Jan. Mass market (rack) paperback. Glued binding. 304 p. Mitford Novel, 8. Very Good. Shepherds Abiding (Mitford Years) by Karon, Jan. Trade paperback (US). Glued binding. 336 p. Contains: Illustrations. Mitford Years, 8. Good. 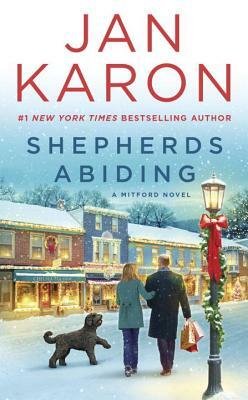 Shepherds Abiding (Mitford Years) by Karon, Jan. Trade paperback (US). Glued binding. 336 p. Contains: Illustrations. Mitford Years, 8.